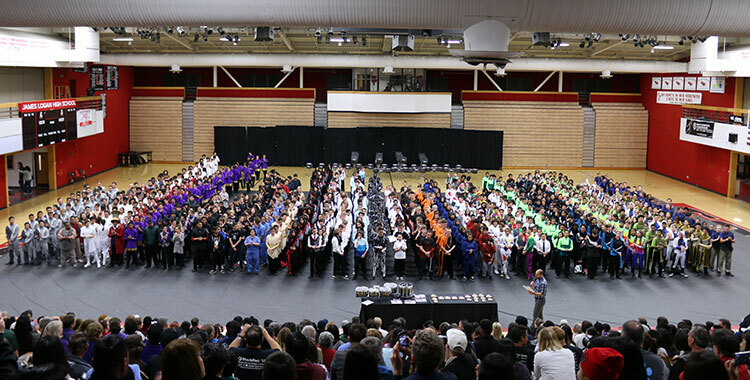 Congratulations to all participants in the 2016 NCPA Championships, held last Saturday, April 2 at James Logan High School. The event, which featured over 75 Individual & Ensemble (I&E) participants, and 34 performing groups – comprised of over 850 students – in the main competition, once again broke all our records and was our largest event ever. In cooperation with our sponsors, NCPA works tirelessly each season to provide a top-notch experience for our students and ensembles. We’re proud to have just completed our sixth season, and we look forward to continued growth and outstanding performances from our ensembles for years to come!